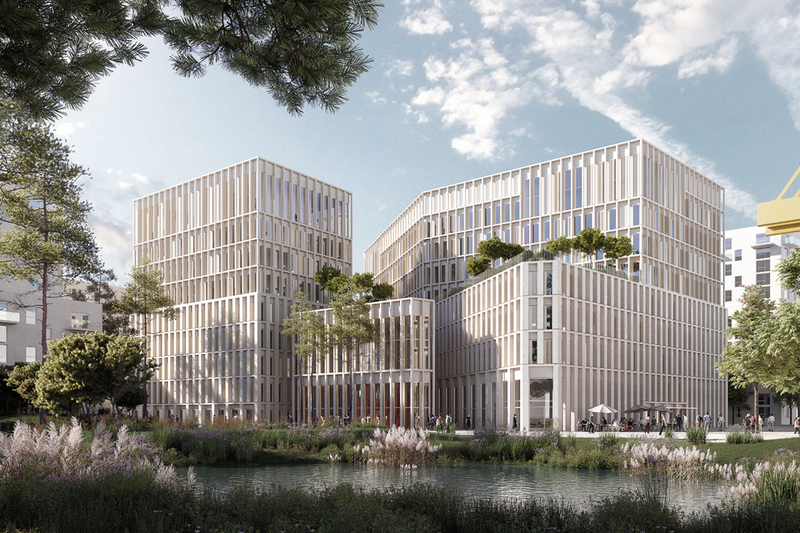 The position of our parcel of land on the edge of a garden, as well as the pedestrian alleyway that crosses our site, led us to conceive this new construction as a system of multiple volumes. The capacity of each volume is determined by the functional and spatial needs of the program. 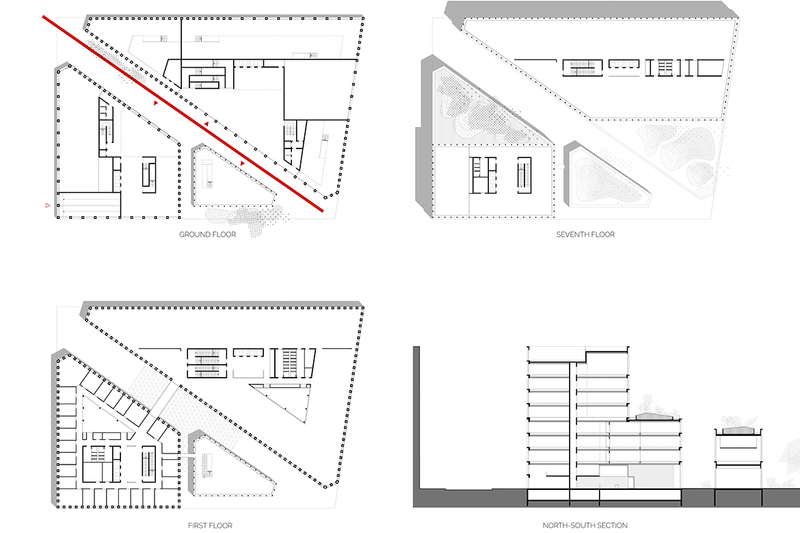 Through the central alley, the public space flows into the openings between the different masses, forking and crossing the parcel, to create a transition between the mineral man-made structures of Bordeaux streets and the green space of the park. Users can access the buildings from the alleyway. 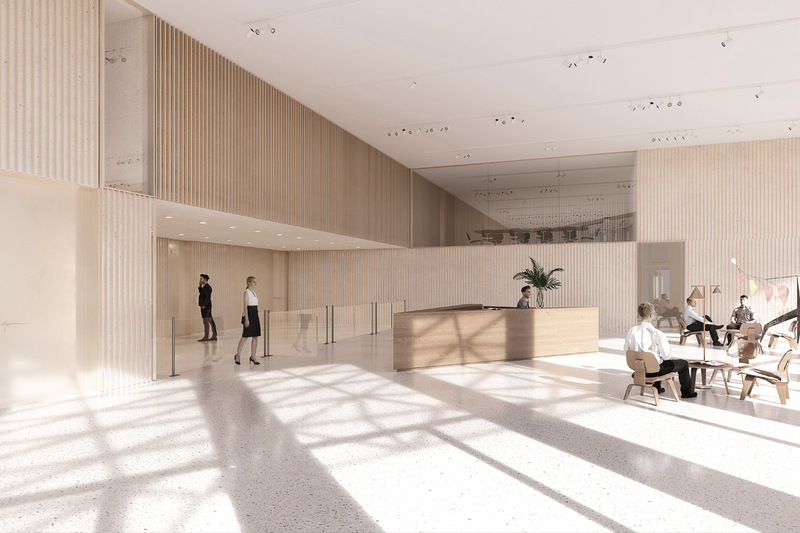 The offices open onto a pedestrian space, which protects the circulation between the volumes and promotes interaction between the offices and the public space. 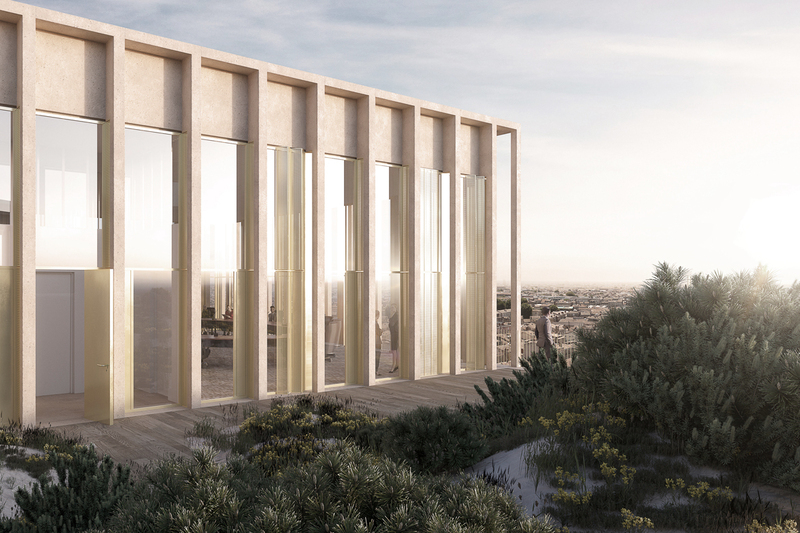 The structural shell of the building is conceived in reinforced concrete and is characterised by a regular “stacking” of posts, which create a vertical rhythm in harmony with the historic Bordeaux façades. The internal structure is timber. 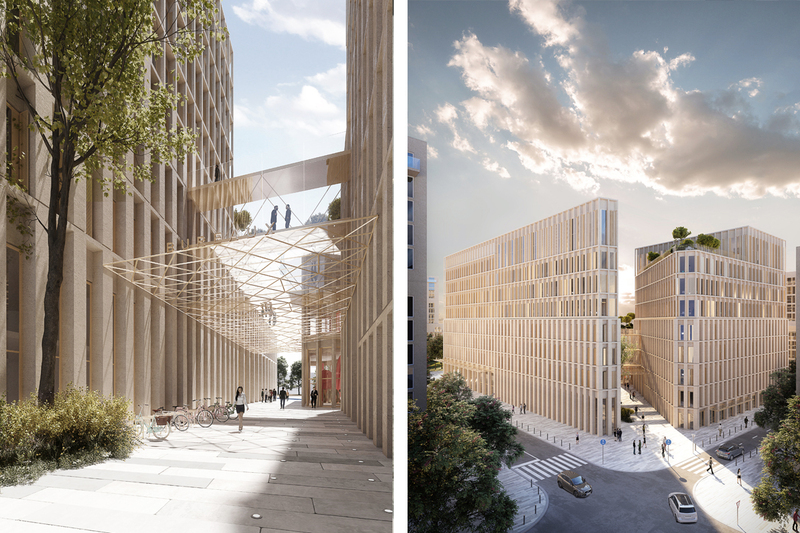 In order to create a contemporary link between the mineral facade and the timber, we needed to find a technical system to stabilise the facades. Without the structural and monolithic continuity of a solid internal structure, a fine concrete veil doesn’t provide the stability needed to support the lateral forces required of a building. As such, we have “folded” the veil of the facades of the base in a series of « C » shapes, while preserving the fineness of the construction. From the exterior, the folded veil of the façade is perceived as a series of posts that punctuate the structure. The structural inertia proportionate to the facades of the pedestal of the lower floors, permits us to reduce the concrete mass in the upper floors, by aligning the narrow posts with the nodes in the structural frame. The exterior joinery of the windows and shutters is a golden anodised aluminium, to complement the colour of the stone to enhance the warm hue. Their glossy surfaces which react to the light, as well as their mobility on the façade, produce a counterpoint to the stability of the structure.